The Winery Dogs are returning from a short hiatus for the Who Let The Dogs Out 2019 US Tour. Richie Kotzen, Mike Portnoy and Billy Sheehan will regroup next year for month long run of dates in May. The trek kicks off May 1st in Derry, New Hampshire and hits cities like New York, Nashville, New Orleans, Dallas, Minneapolis, Denver, Las Vegas and more before wrapping May 31st in Los Angeles. 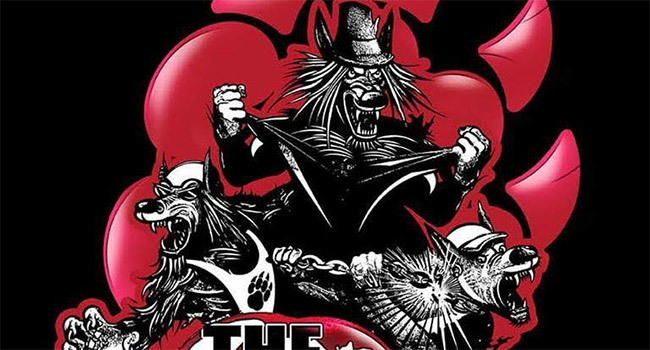 Tickets go on sale soon via thewinerydogs.com. The group took the last two years off as they pursued other projects. The trio’s last album was Dog Years, Live in Santiago & Beyond 2013-2016 that was released last August. It’s available as a Blu-ray/EP and five disc Blu-ray/DVD/2 CD Deluxe Edition that also includes left over bonus tracks from their previous two albums.